HOUSTON (KTRK) -- Wednesday's early morning rains proved to be too much for the small city along the Gulf Freeway. Over 10 inches pounded the area in just a matter of hours. Dozens of drivers were stranded along the feeder roads as water quickly began rising. One man said he was stuck inside his small SUV for four hours until his brother came to his rescue. "When I walked over to the car," said Muhammad Asif, "I saw the water level by my brothers car higher than the engine." Bel Furniture Store also saw its share of problems by the rain. So much of it collected on the roof it ultimately caused it to collapse. 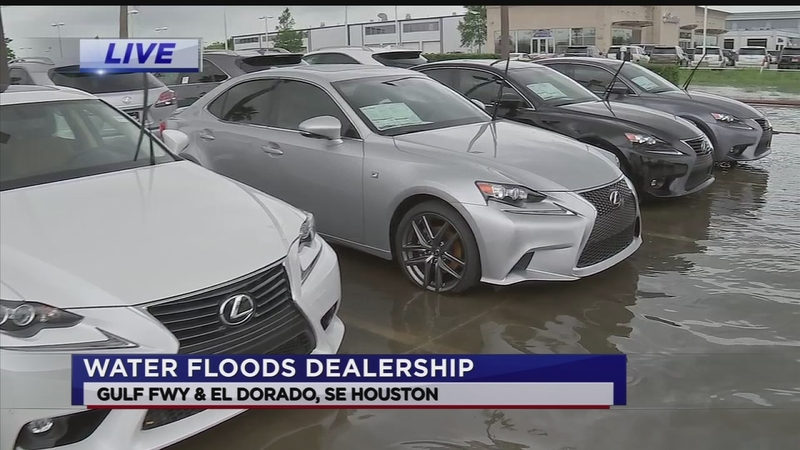 The store manager said every single piece of furniture inside the 85,000 square foot showroom suffered some form of water damage. The store hopes to complete the clean up and renovation process in 2-4 weeks. 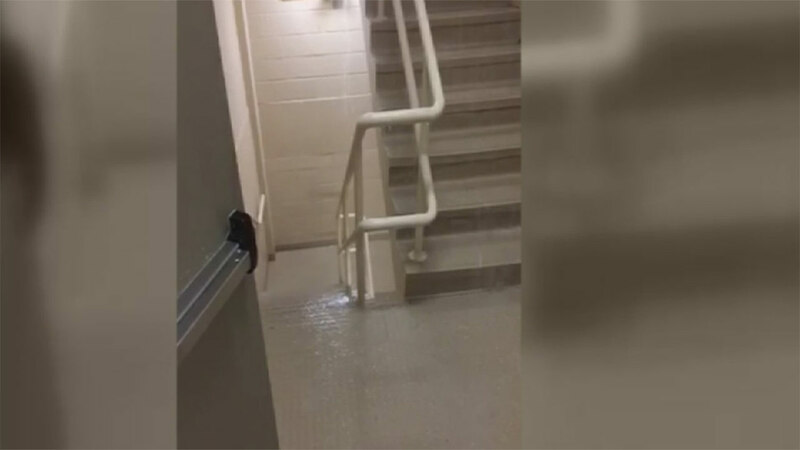 Heavy overnight rains brought flood waters high into the grounds surrounding the Clear Lake Regional Medical Center, and in some cases, into the facility itself.